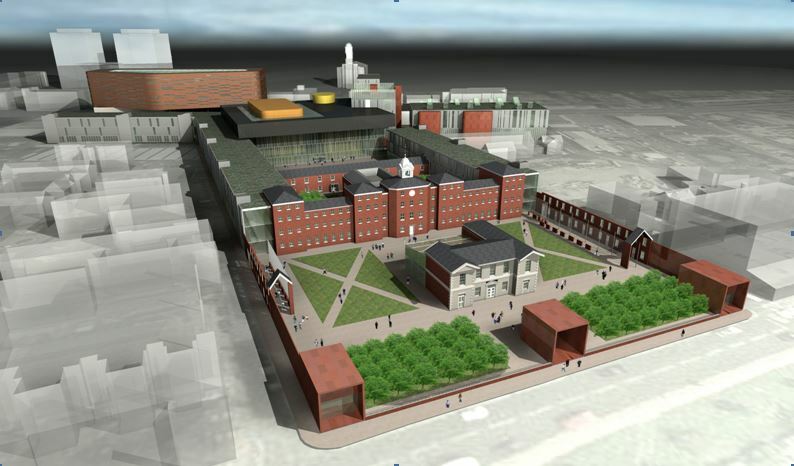 Stockport College’s plans were to created a new Flagship Campus at their town centre site on the A6. Following the changes in the LSC’s funding arrangements the final project reduced in size to concentrate on the replacement of the James Ross Workshops at the Southern end of the existing College site. The new workshops were built over two phases and include a full range of Construction and Motor Vehicle Workshop provision, together with associated Classrooms and Learning Resource Bases within the adjacent tower. The works were completed over two phases and allowed the College to retain full use of the site during the construction phase. The works are sequenced to meet the constraints of the site immediately adjacent the dual carriageway on the main arterial route through the centre of Stockport and with minimal site space for Contractor’s accommodation.